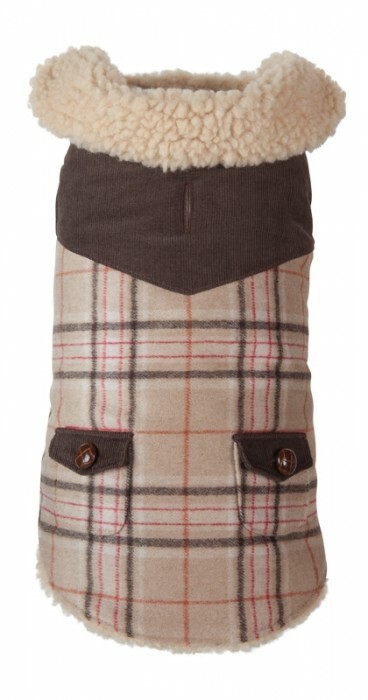 Our big and small custom made dog coats are stylish and practical to keep your dog warm and dry during the cold months. 2 Coats in 1! Reversible puffer vest with argyle print on one side and solid silver with embroidered Hip Doggie Crown Logo on the other side gives you a great value. 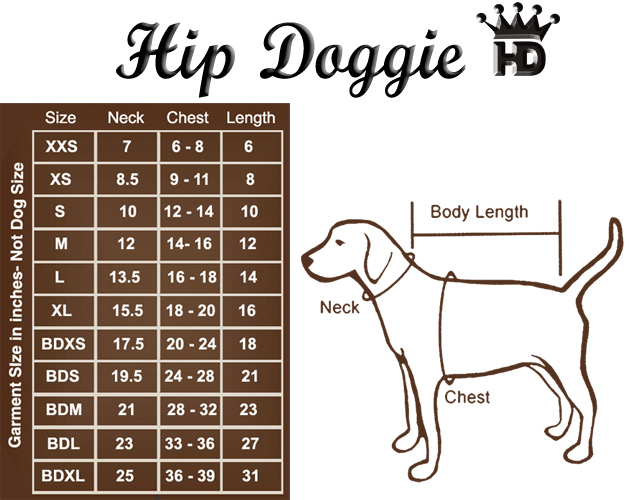 Water repellent outer on both sides with warm quilting inside made this coat an excellent choice for all pups including long haired breeds especially, the nylon fabric is smooth preventing matting of long fur/hair when the coat is on. This sleeveless puffer vest has a reinforced leash hole and velcro closure for great fit and easy on & off. 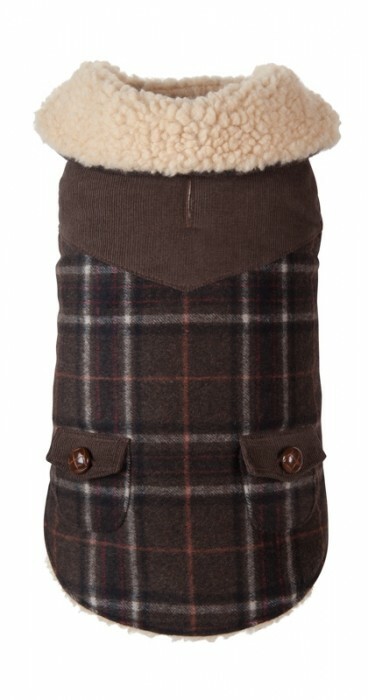 Adjustable waist toggles keep the warmth inside the coat. 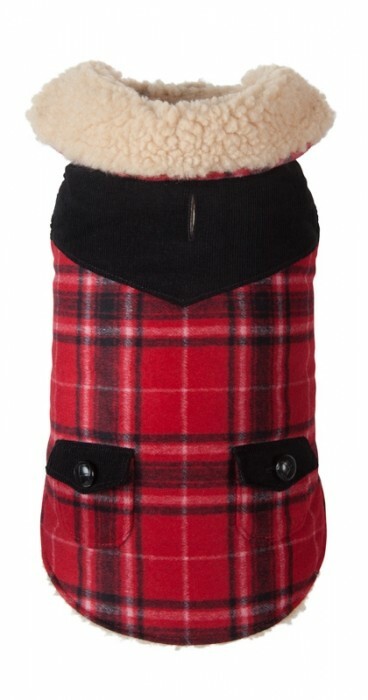 Reversible printed puffer vests are available in 4 patterns and from Teacup to Big Dog size (approximately 60 lb). Drawstring toggles at waist for perfect fit. Reinforced leash key-hole for leash insertion. 2 Coats in 1! Printed plaid on one side and solid colors on the other side, both ways with reflective striping for extra safety. 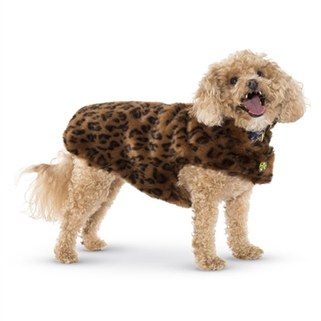 This warm coat is double layered in soft brushed fleece and has reinforced leash hole in the back with adjustable velcro closure at neck & stomach for easy on & off. This washable coat gives you lots of extras for great value: extra fabric, extra reflective striping and extra warmth for your pup. 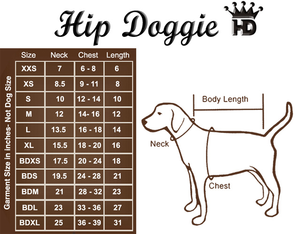 Available in sizes teacup to approximately 70 lb big dog. This style has no stretch in the material & the measurements on our sizing chart is GARMENT measurement, so you have to add 1 1/2-2" to your pup's chest measurement so they can move in the garment. A stylish and practical coat is made of water-repellent shell that is quilted and lined in warm fleece. 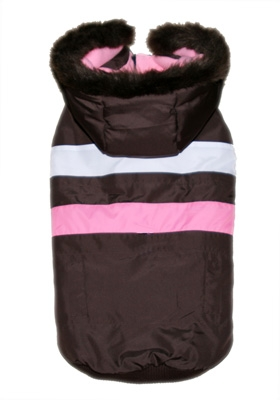 Fur trimmed hood is detachable by easy zipper for an athletic puffer vest look without the hood. 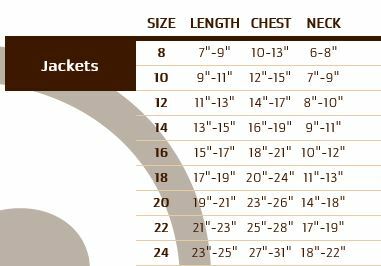 This sleeveless ski vest has velcro front closure for easy on off and great fit. Also has reinforced D-ring on back for leash hook for light guidance only, this is not a safety feature. Thick elastic ribbing at waist and armholes keep warmth inside the coat. A great value! Velcro front closure for easy on off and great fit.